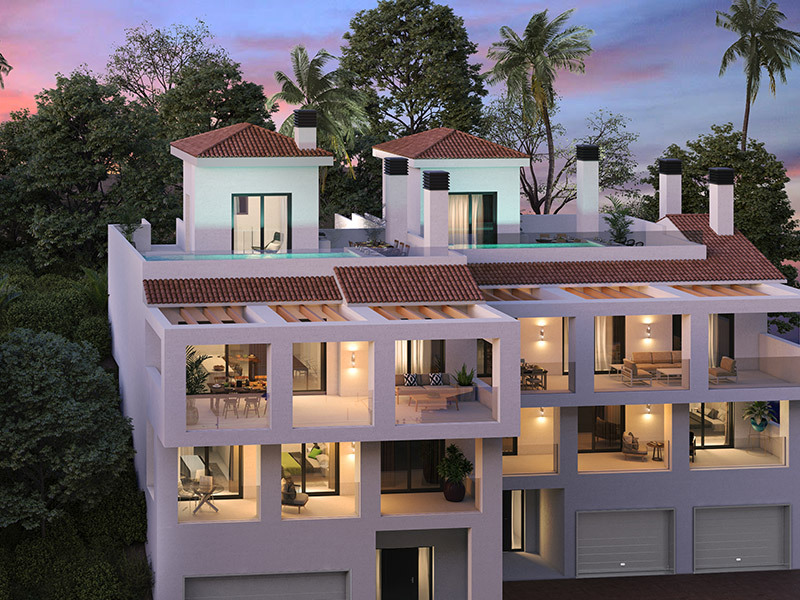 Well-appointed three and four bedroom luxury semi-detached homes with marble flooring and open-plan modern kitchens preinstalled with high-end Siemens appliances. 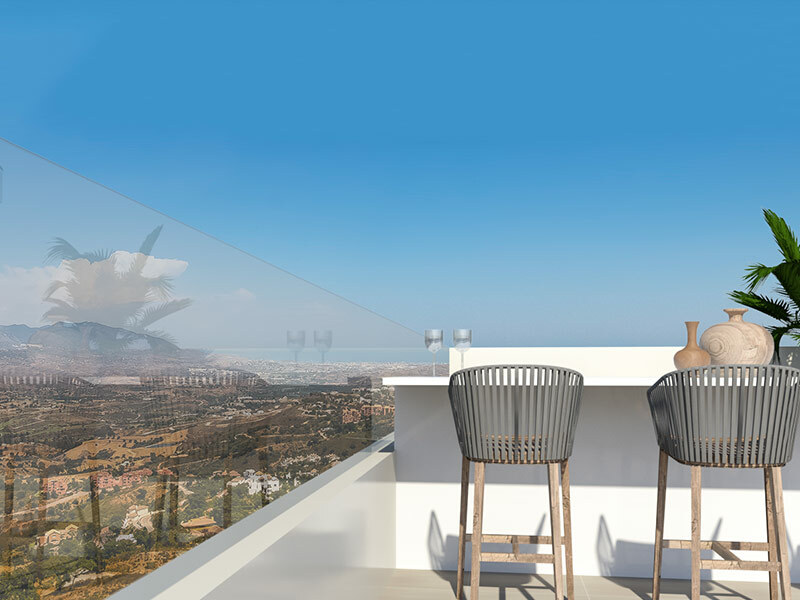 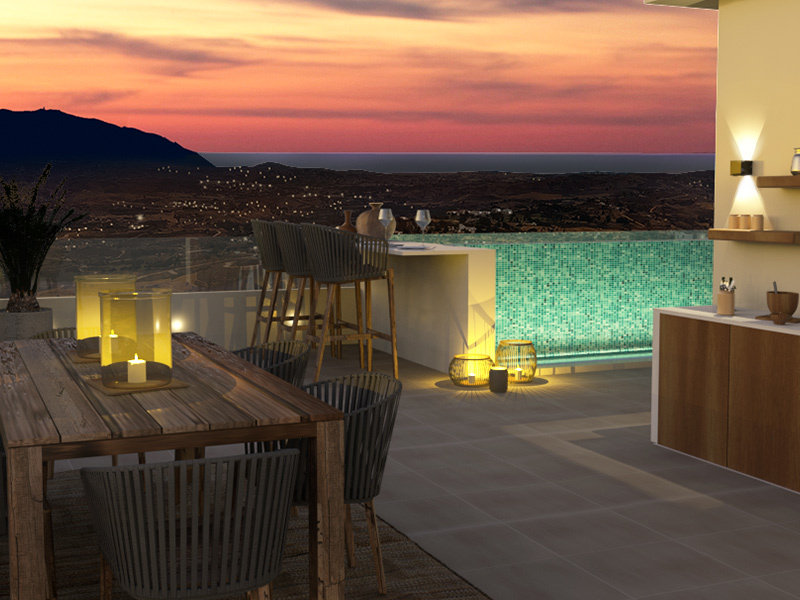 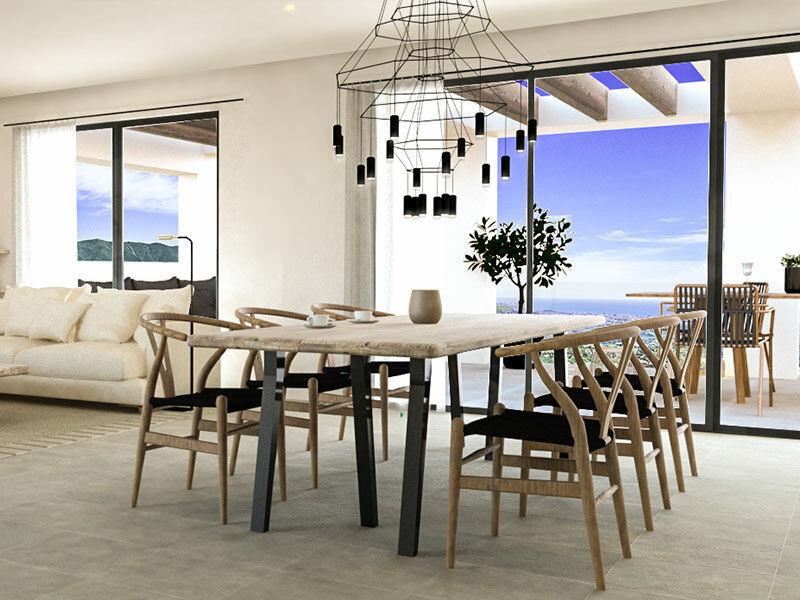 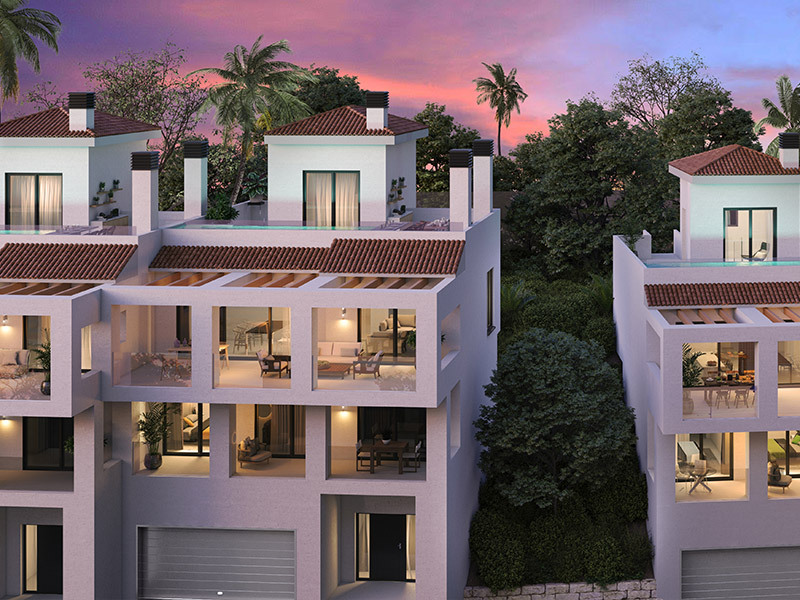 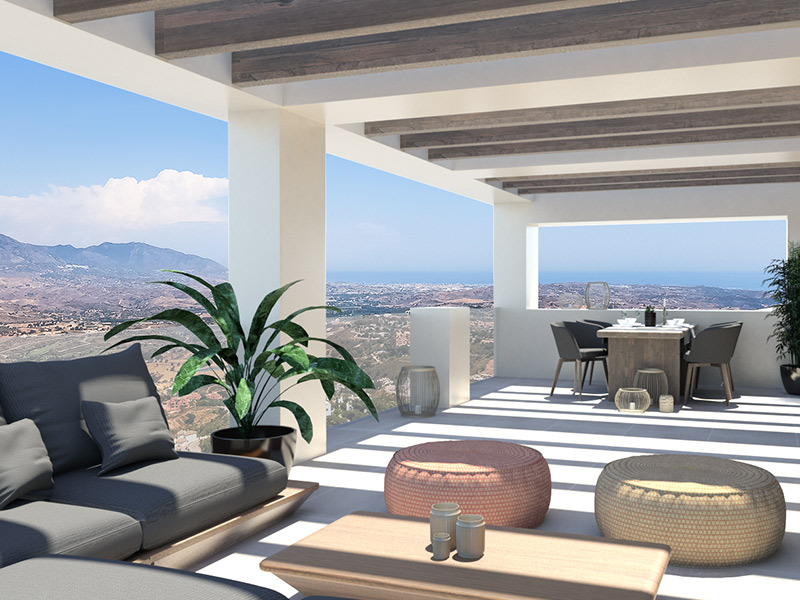 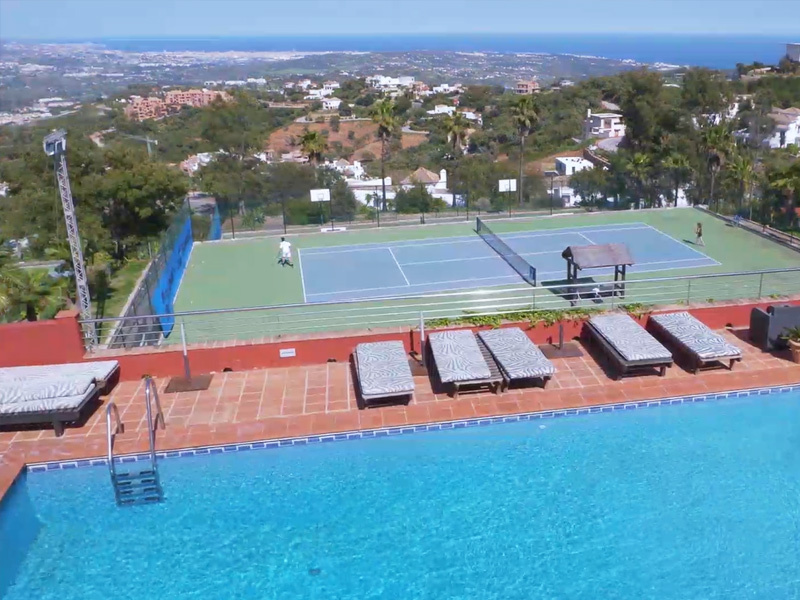 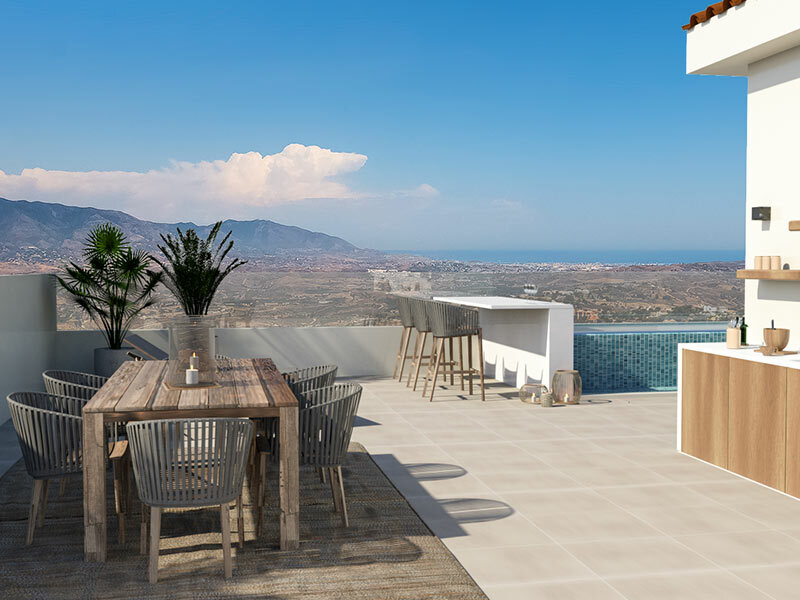 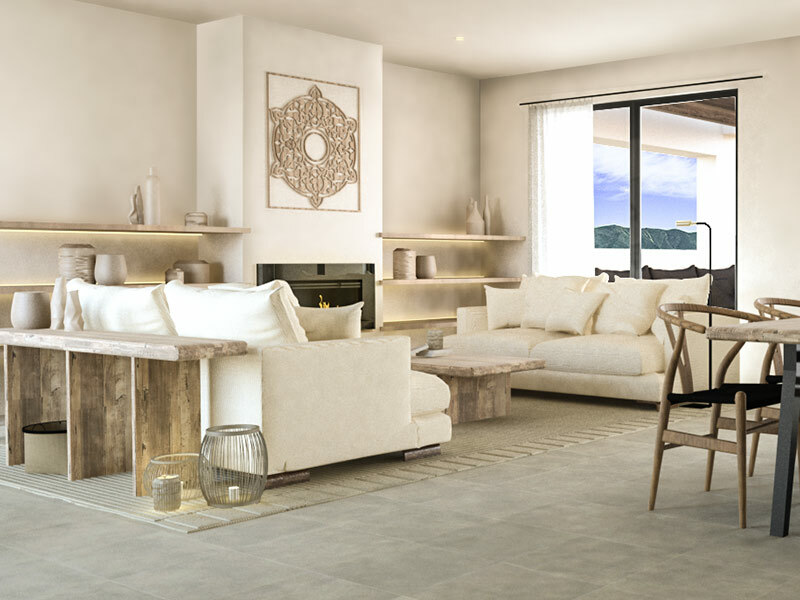 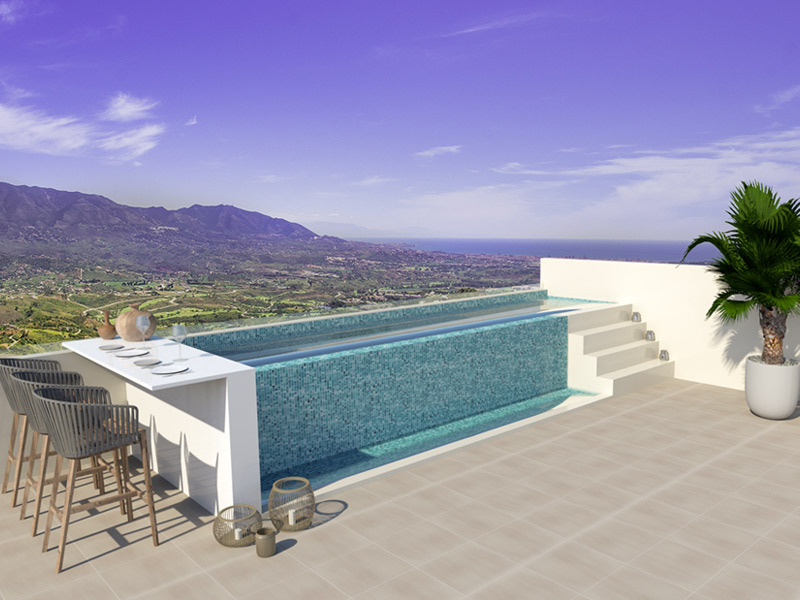 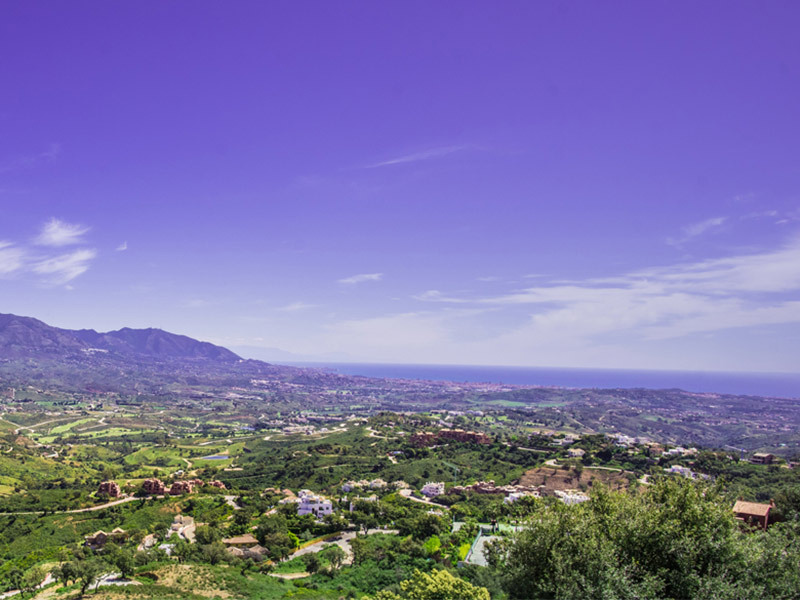 These spacious multi-level homes boast very large terraces with a stunning solarium, private plunge pools and breathtaking panoramic views over the beautiful natural surroundings and the Mediterranean sea, creating the absolute perfect combination for enjoying the coveted outdoor Spanish lifestyle. 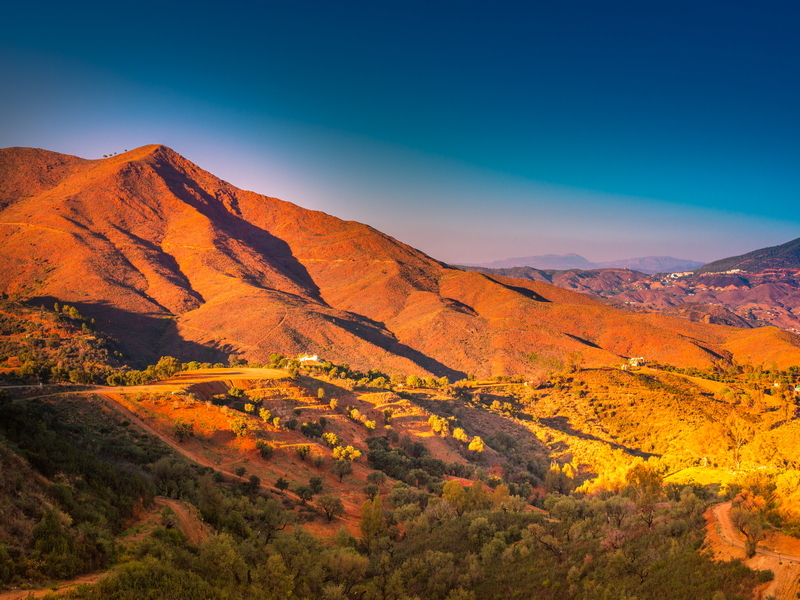 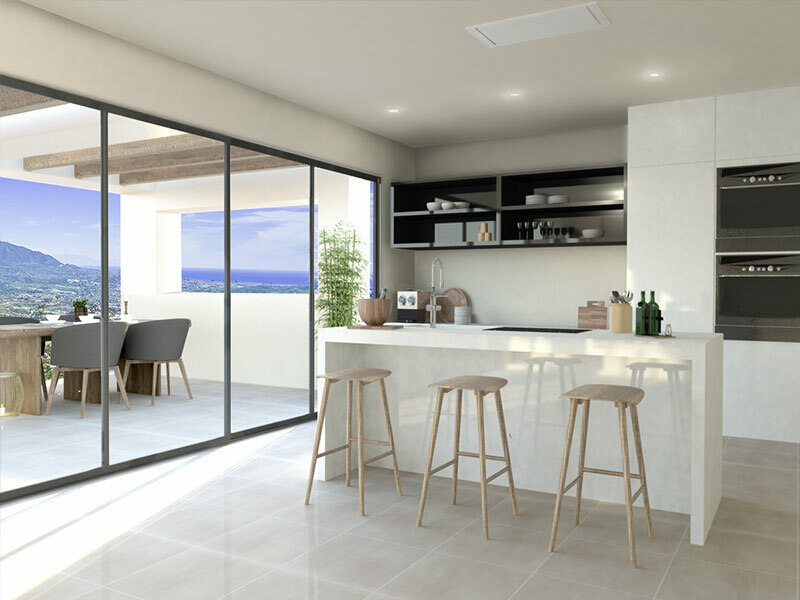 Depending on the specific unit and its location, the property will include either a cosy “patio inglés” to the rear of the property or a private zen garden. 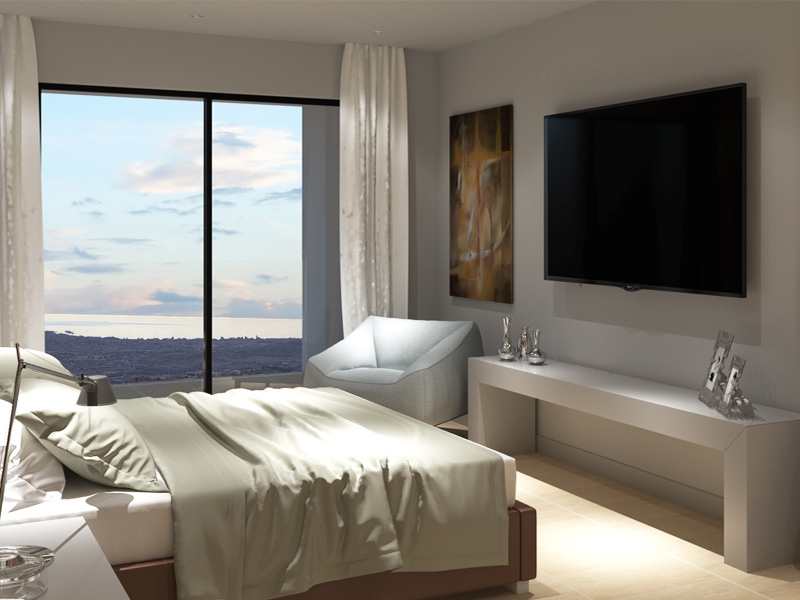 We offer 3 levels of customisation for each one of these types of dwellings. 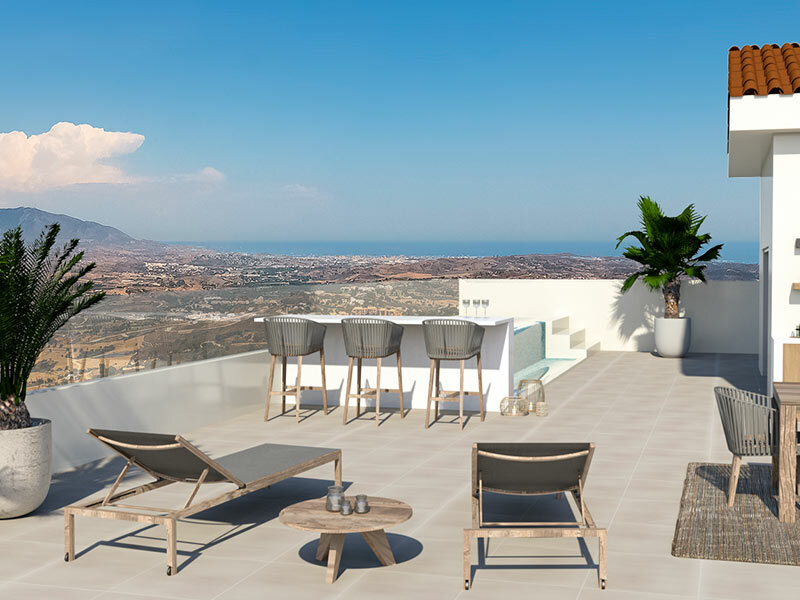 From a thorough remodelling and restyling of the existing property to a radical makeover that will include a reconfiguration and extension of the existing floor space, an additional bedroom and a plunge pool on the rooftop solarium. 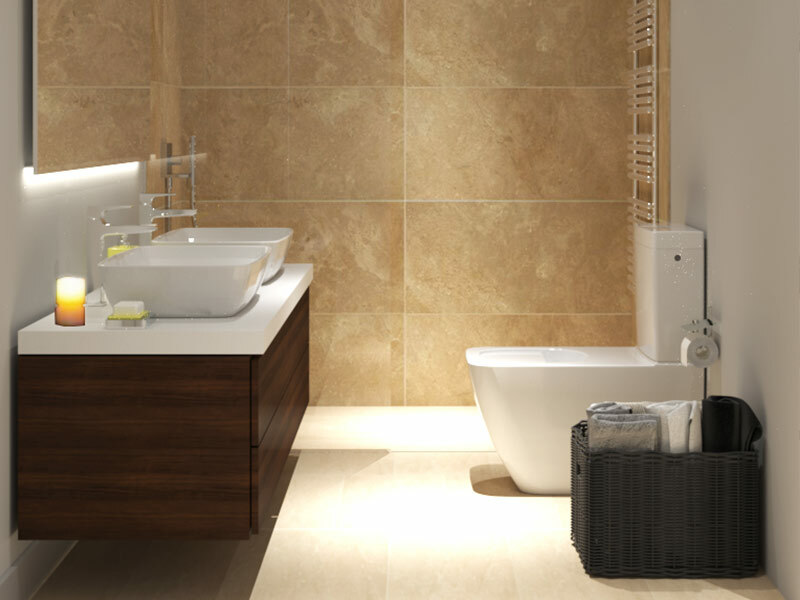 Images shown here are for illustration purposes.